Bridesmaids were hand chosen by the Bride to be there on her most special day. Leading up to the wedding day there are no small tasks. In fact, there are numerous jobs that need to be done. The organizational and management skills the bridesmaids give are nothing short of a blessing. All things considered, the bridesmaids are not just the entourage, but they play an important role to help prepare for the big day. 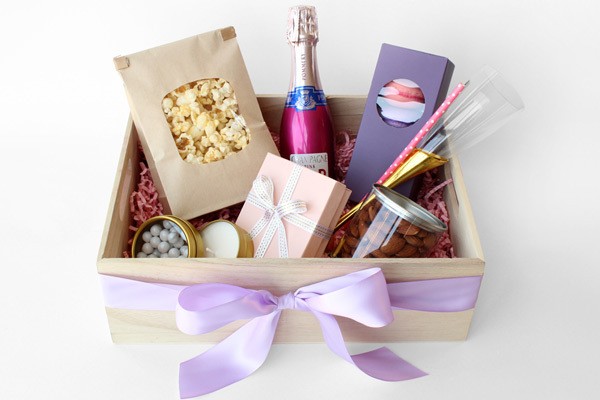 Giving them each a personalized DIY gift box can be the perfect way to thank them! Is it customary to give a gift? To give a gift is to show gratitude. That’s what it’s about, really. It’s saying thank you for the support, and thank you for being there on such an important day. What to give the bridesmaids? Although the answer is entirely budget driven, we think a gift box would be a great idea. 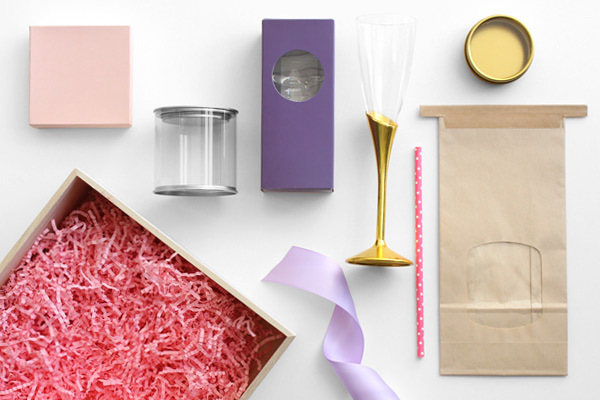 Coincidentally, we put together a video to explain how to make the perfect gift box. Here’s how to make a DIY gift box. Start off by getting the ideal box type and size. We suggest wood boxes for a rustic look. Then you will need some filler. This shred material does the job nicely. Now comes the exciting part. Put stuff in your gift box! It does not have to be expensive or grand, but something that will be enjoyed! Usually, special mementos are a great way to remember the day by. We suggest things like champagne, treats, candles, etc. Just like in the video! Here’s a video of how to make your very own candles. To make the box look fantastic, wrap it with a nice bow that coordinates well with your wedding colors. Shown in the video is the Solid Color Premium Fabric Satin Ribbon in Orchid. When is the appropriate time to give a gift? A good time to give the gift is during the final rehearsal or day before the wedding. Sometimes, a bride can decide to give her gifts on the wedding day. This is because the gift may contain something that she wants everyone to wear for the wedding. So, why a DIY gift box? 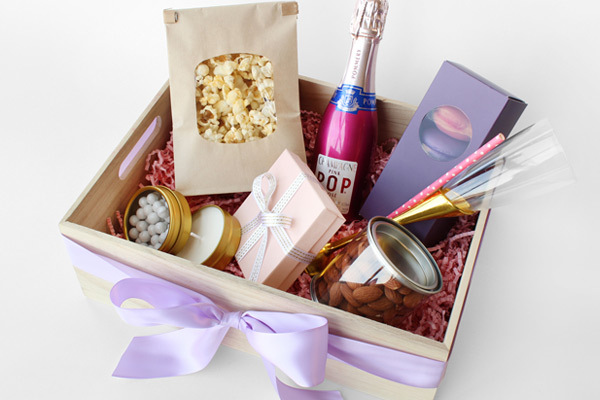 Well, a DIY gift box has the elements of being very personal and it looks amazing. Which means a lot of thought and love went into creating such a wonderful gift. This would make any recipient feel special. Of course, there’s no better way to say thank you than to make someone feel special.